I have only recently gotten into Pinterest. It isn’t because I didn’t find the concept interesting, or even that I didn’t see some of the benefits of a sharing site dedicated to images. After all, photos are some of the easiest content to go viral, thanks to the ease of passing it across the web. Once I finally requested my invite and started using the site, I became immediately addicted. It is impossible for me to get online without checking the latest pins I have subscribed to. Whenever I see an image I even vaguely like, I am pinning it for all to see. Which seems to be the usual story, or so all of my friends claim. Feminine hygiene company Kotex had an interesting idea. For their “Inspiration Day” campaign, they chose fifty female bloggers that were popular on Pinterest. The company put together a “digital gift” and sent it to each woman. The idea was that they would repin it and get a real one in the mail. The real gift was a collection of Kotex items and versions of things that they had pinned on their account. Both the digital and the real gifts ended up being massive hits, generating a ton of exposure for the company. It was a cool idea that shows the way personalized marketing can be utilized to great effect on the latest social networking website. You are also able to clearly see how content can be more than just a status message. Why It Was Creative: The use of both a digital and real life item changed the way marketing is approached online. With so many images dedicated to cosmetics and beauty on Pinterest, it wasn’t a surprise when a company dealing with the industry got involved. Sephora was the first to come up with a marketing campaign aimed around winning cosmetic products. The idea was to get their pictures shared with both the friends of participants, and on the main Hair and Beauty category page. They accomplished this by having each participating user create a separate Sephora board. They then pinned five pictures of their products, as well as the contest page to that board. Winners were given a $250 Sephora gift card. Why It Was Creative: It was ridiculously simple. Not only did it create a great deal of visibility, but it was an affordable way of doing so. BMI created an interesting version of the marketing campaign that took the form of a lottery. 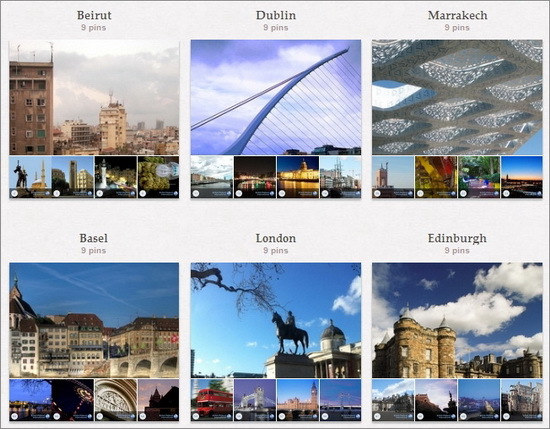 They encouraged Pinterest users to pin six pictures from a list of numbered photos on their main board that showed dozens of travel destinations covered in packages from the company. They had an overwhelming response, with thousands of submissions. At the end of the submission period, BMI picked six random images in a specific order. Anyone who had the combination of six images in the right order won a paid vacation. Why It Was Creative: It played off of an old concept to create something new. It generated enough interest that word of the lottery was shared all over the web, as well. As you can see by this article, it is still being talked about today. Pinterest is an excellent way of getting a message across and establishing brand loyalty. It’s the tool each online marketing company should embrace. While the site is still gaining a following, there is no denying that people are more willing to share an image than a word of mouth recommendation. 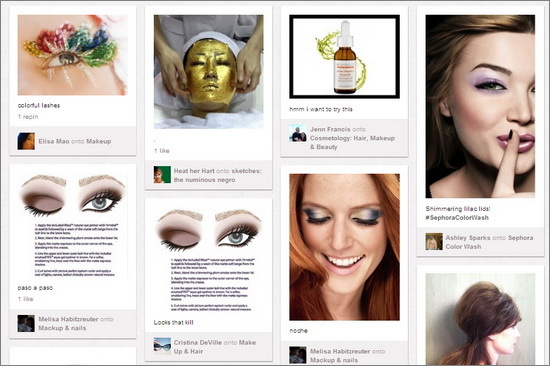 What campaigns have you been impressed by lately on Pinterest? Let us know in the comments.